Listening to his words, I think Scott knew that his battle was almost over. And yet, he continued to fight. He did not fight to shout another “Boo-yah!” at a home run, or to give out another NBA Finals trophy. His greatest accomplishment wasn’t revolutionizing sports reporting or fusing hip-hop with sports journalism. It was being a dad. He fought cancer with everything he had because he loved his daughters. We need to fight for our kids. When we want to give up on a project, we fight for them when we knuckle up and persevere, thus showing them what commitment means. When we want to spend a ton of money that we don’t have for something we don’t need, we fight for them by delaying our gratification and saving so we don’t have to go into debt. When they start complaining that life isn’t fair when they have to do their chores, we fight for them by teaching them the importance of responsibility. When our kids reach the age that they’re old enough to date, we fight for them by reminding them of God’s standard for purity (and hopefully we’ve been teaching them about it long before their first date). When football is on and they ask us to play with them, we fight for our kids by hitting pause on the DVR and going on an adventure with them, thus showing them that they are more important than a game. When they mess up, and they will, we fight for them by praying for them, by forgiving them, and by loving them (even when that love has to be tough). When we mess up, and we will, we fight for them by showing humility and asking for their forgiveness. My oldest is only a month away from being a teen. Right now, I’m still one of the smartest guys on planet earth. Soon, however, I know she’ll no longer think that I’m (to borrow Scott’s catch phrase) as cool as the other side of the pillow. There will be arguments. There will be meltdowns. That’s OK. I’m still going to fight for her. And I will fight for her younger sisters, too. Because they, and their mom, are my life. God entrusted them to me to love, watch over, and protect. I am, and will continue to do so, come hell or high water. 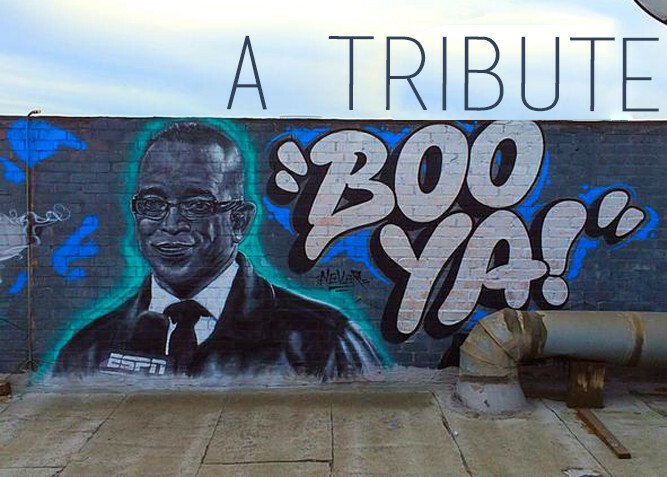 So thank you, Stuart Scott, for showing us what it means to fight for our kids. Thank you for your courage, your perseverance, and your energy. 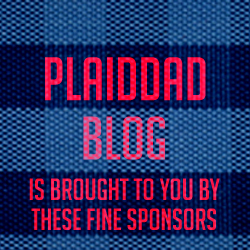 You truly were a plaid dad.